Critter Timbers Bark Bungalow Medium by Ware Mfg. 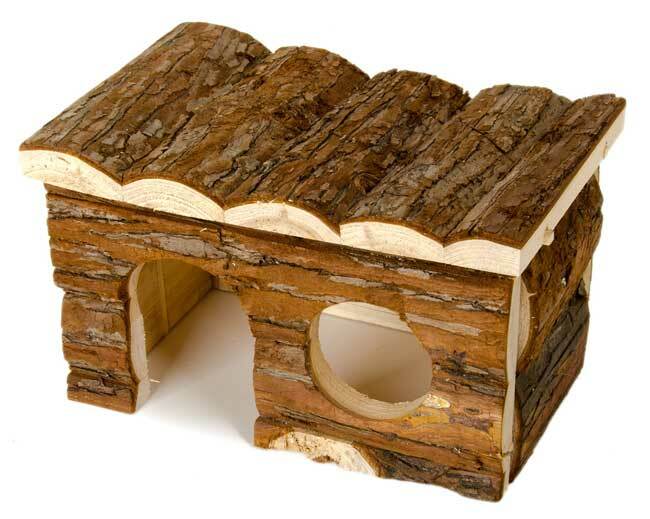 is a cozy critter hideout made of all natural bark covered wood. They offer an irresistible chew surface as well as providing a comfortable resting spot that offers a sense of safety and security.